I have found that sometimes, something, or someone can seem so available that you become casual and nonchalant about taking the time to go to them, and before you know it they are gone. Thus was the case for me with Robert McCairns. A few years after moving to Norfolk County in the early 80’s I had become aware that this noted folk artist was living nearby at Turkey Point. 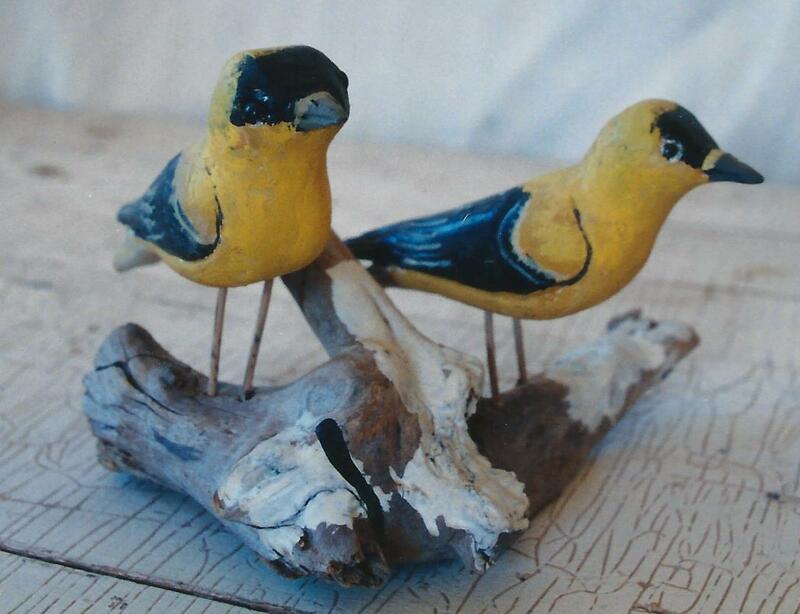 I had seen a few of his bird carvings and liked the work, but at that time my life comprised primarily of trips to and fro Quebec to buy antiques and folk art, and then participating in antique shows to sell the stuff. Also, aesthetically, I was pretty focused on the Quebec style of folk art and I was finding lots of it, and so although I found McCairn’s work interesting, it didn’t make my heart beat faster, if you know what I mean. In short, time passed and the next thing I know I hear he’s pasted on. Then a few years later, we bought the Barbara Brown collection, and in it there were many, perhaps 60 or so of McCairn’s pieces. Not only birds, and decoys for which he was mostly known, but also a few animals, and one sort of flat faced human head. When you buy something you really look at it, and so I studied the pieces and came to appreciate his straight forward style; slightly crude but with character, balanced, and with interesting paint. He made carvings of the creatures around him. The birds and animals he was familiar with. Robert McCairns was born in Scotland October 9th, 1905. He came to Canada at the age of 18 and after travelling around the West Coast, he eventually found his way to Ontario, where he married and raised a family of two sons and a daughter at Turkey Point, on the North Shore of Lake Erie. For more than forty years he earned his living at fishing, hunting and trapping, as well as managing tracts of the marsh. He also carved decoys and worked as a guide during the hunting season. 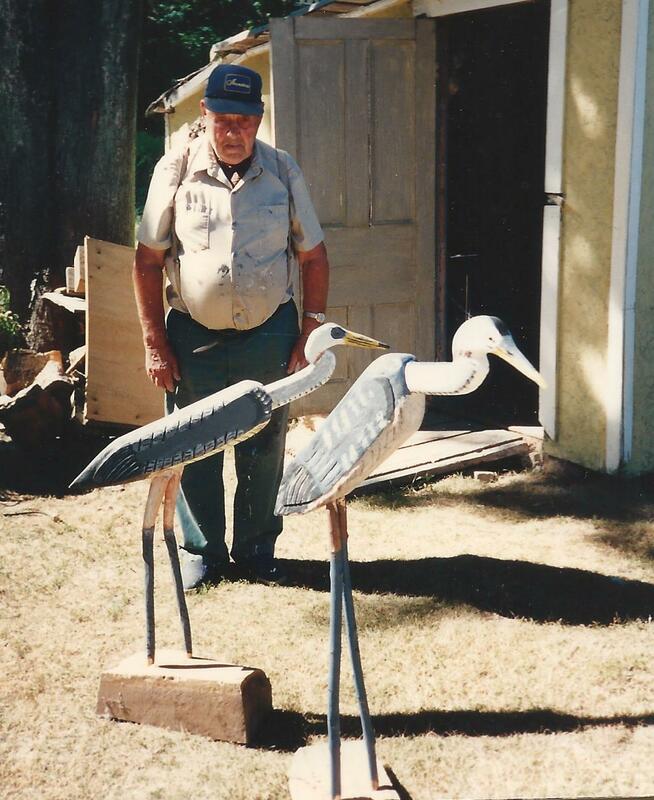 After a severe illness in the mid 1970’s he retired from several of his enterprises and began to carve some of the birds he saw around the Long Point marsh; ducks, herons, shorebirds, and song birds. Also fish, rabbits and turtles. 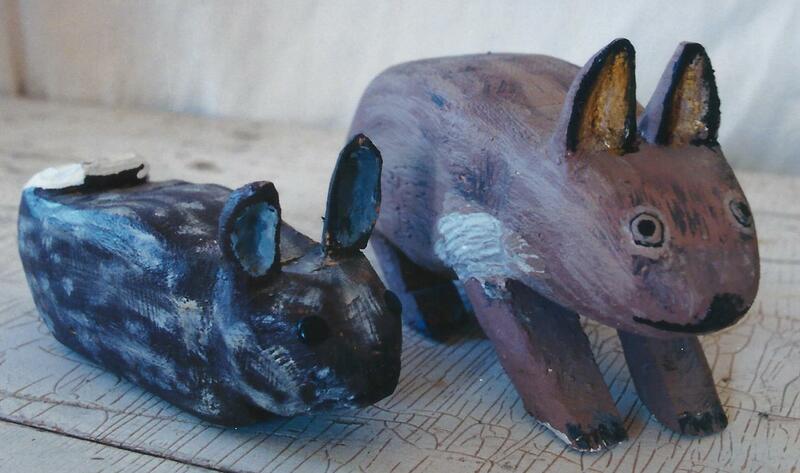 Eventually he added a few domestic animals such as cats, dogs and pigs. People started to come to his place on the marsh and buy, and word got around, and by 1977 he had his first exhibition at the Lynnwood Arts Centre in Simcoe Ontario. This was followed by shows in Toronto at the Merton Gallery, Claude Arsenault’s “Home Again” folk art gallery, and the Harbourfront Community Gallery. 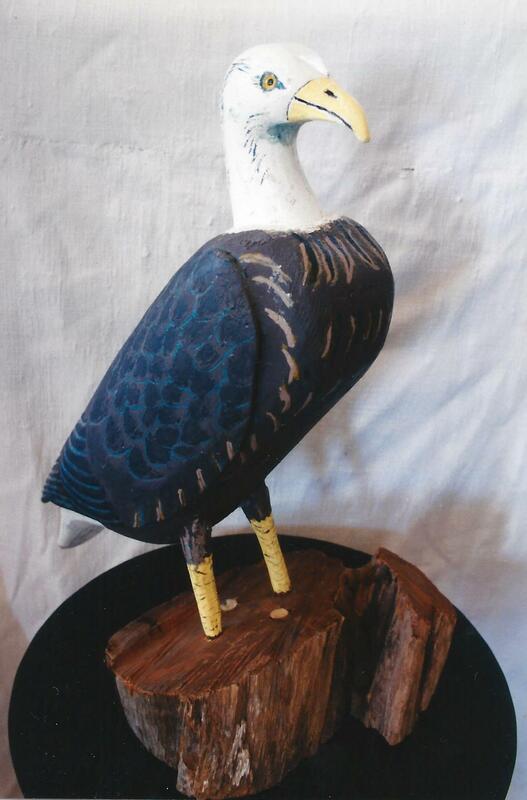 Some of his pieces were included in a travelling show sponsored by the Ontario Craft Council. In 1989, shortly before his death, his work was the subject of a one man show at the Durham Art Gallery. This last show included a catalogue. 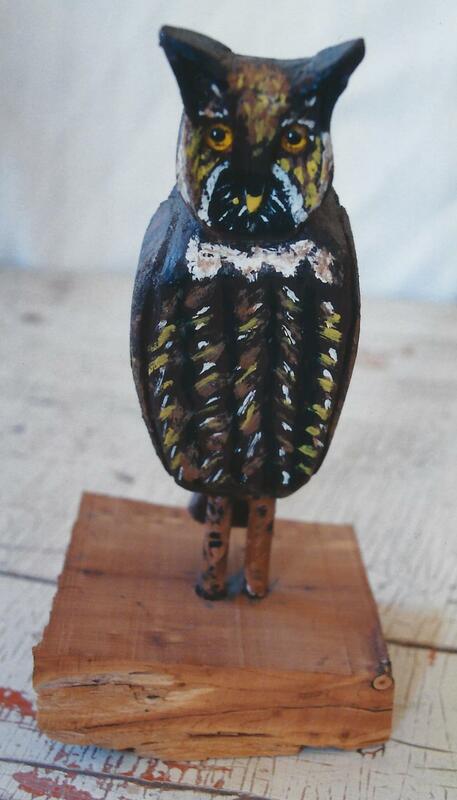 Robert McCairn’s produced what I consider to be good, honest folk art. His birds are not literal renditions of the various species, but rather they are his free interpretations of what he saw. As much as a like many of these carvings, it is his rendition of the human head which puts me over the top, admiration-wise. It may have well been a “one off” for him, but to my mind as a piece of folk art, he knocked it out of the park with that one. 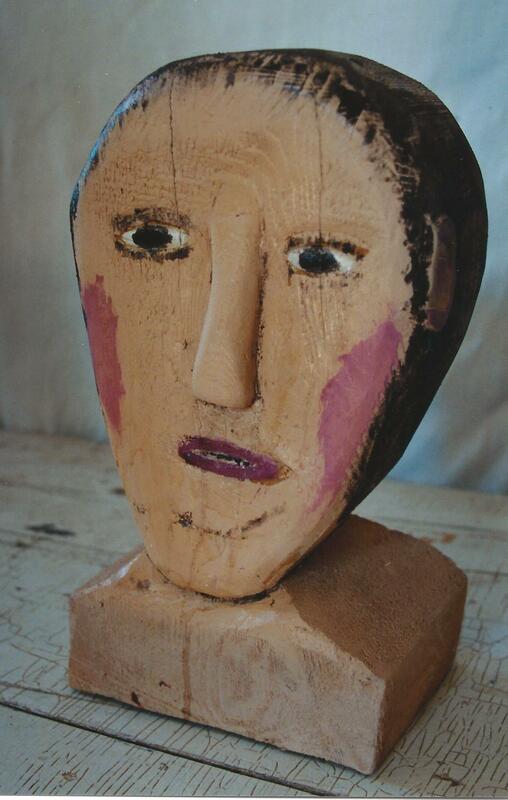 I felt my opinion was confirmed when I sold it at the Outsider Art Fair in New York to a well-known folk art dealer. When I handed him a bio, he said “I don’t care who he is or where he’s from. I just love that he made this piece”.